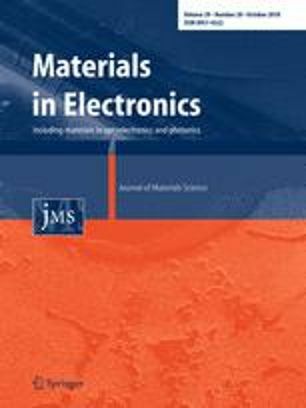 In this report, we present the synthesis of few layer MoS2 and polyaniline/MoS2 nanocomposites with a complete structural characterization by atomic force microscopy, small-angle X-ray scattering, X-ray diffraction, high-resolution transmission electron microscopy, Raman spectroscopy followed by AC impedance spectroscopy and thermoelectric characterizations. Our structural studies revealed that the intercalation of MoS2 nanosheets into polyaniline fibers produces a decrease in the MoS2 interlayer distance and a slight increase in the degree of order of the nanocomposites. In addition, an increment in the polaron Raman signature was observed with the addition of MoS2 nanosheets into polyaniline nanocomposites in agreement with the enhancement of the electrical conductivity, i.e. up to ~ 2.5 S cm−1. The addition of low amounts of MoS2 also lead to an increment of the seebeck coefficient (up to 5.3 µV K−1) and power factor (up to 0.0070 µV m−1 K−2). This report showed excellent synergistic effect between PANI and MoS2 nanosheets which could be of great importance for future applications of these nanocomposites, mainly as thermoelectric materials. Mombrú, Dominique, “Polyaniline intercalated with MoS2 nanosheets : structural, electric and thermoelectric properties,” RIQUIM - Repositorio Institucional de la Facultad de Química - UdelaR, accessed April 20, 2019, http://riquim.fq.edu.uy/items/show/5286.